A note of classic style in kitchen furniture choices turns the home's coziest room into a dream of bygone days. 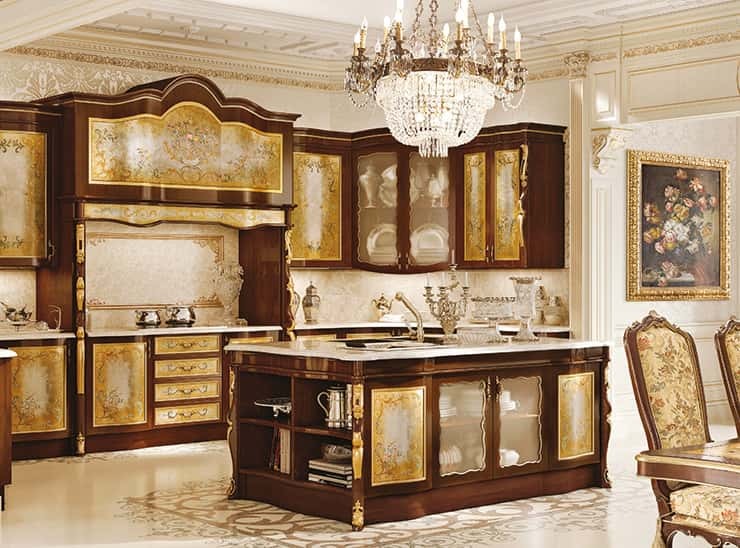 Italian luxury kitchen furniture conveys a style opting for traditional models, based on echoing the feeling of warmth that we associate with the love shared in this room of the home. 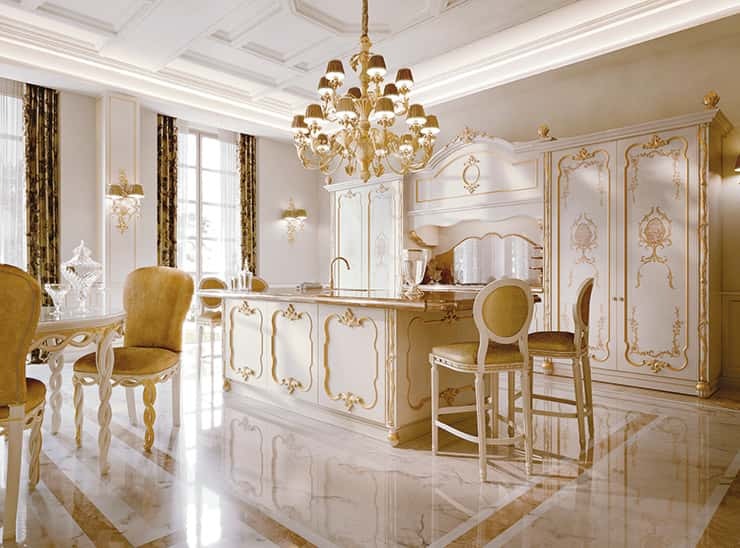 Andrea Fanfani's design lets you have a high degree of customization, adapting decorations, sizes, and shapes of the furniture you choose for tailor-made luxury kitchen furniture, creating kitchens where you can feel at ease, following the tenets of quintessentially Italian quality and design. 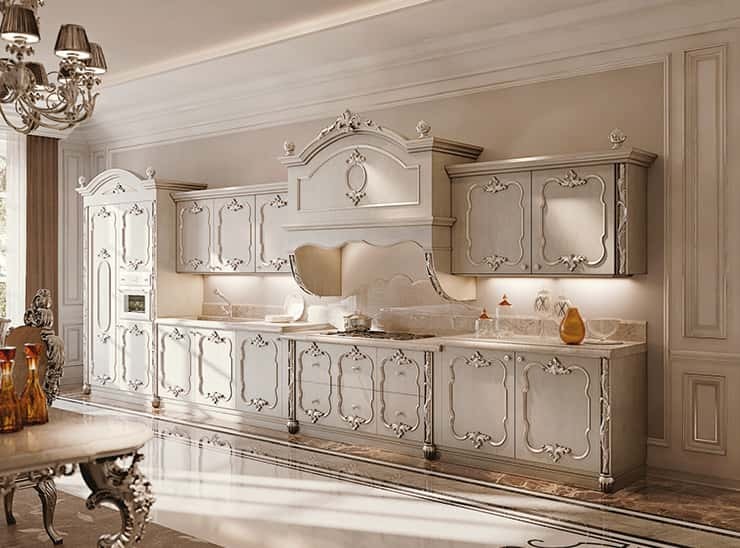 Andrea Fanfani's classic kitchens draw inspiration from the motifs of 16th- and 17th-century Baroque art, echoing its splendor. Classic style offers soft, balanced lines to the kitchen, for an atmosphere of warm elegance, heightened by the use of prime quality solid wood, treated with traditional Florentine craft techniques with great care for the finishes and every detail. 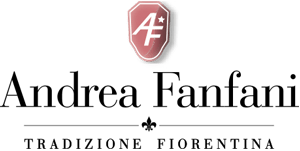 Andrea Fanfani's furnishing designs and Italian luxury kitchen furniture marry the style of highly practical classic kitchens with a look of infinite appeal. 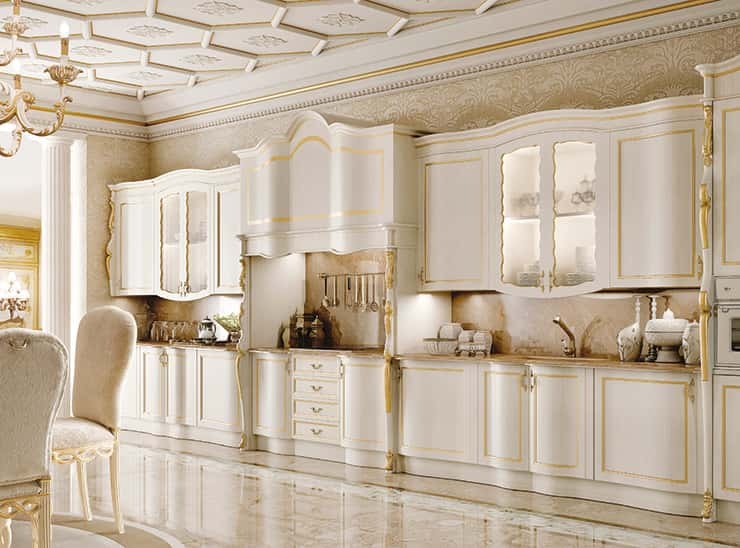 The option to choose from an extensive range of cabinet doors and finishes allows for a high level of customization and pleasure in the daily use of the kitchen. This room must be especially carefully designed, more than any other room in the house given its purpose and the heavy use to which it is subjected. The countertops feature the prestigious marble, in colors from Carrara white to royal yellow and Portuguese pink. The marble creates intensely attractive durable countertops on a solid wooden base, exquisitely decorated in fine Florentine craft tradition. Decorations and inlays intermingle both in the classic Opera collection and the contemporary Tornabuoni collection. The wood's hand lacquering creates sophisticated effects that enhance wood's natural quality and warmth.